Gut health now extends well beyond digestion; NBJ's 2016 Healthy Solutions Report digs into this and other condition-specific targets. Pills are out, drinks are in. But what really works? Liver and detox supplements grew to $125 million in 2015 and are expected to top $166 million by 2020. But that is paled by the $200 million already hit in cleanse beverages, as big hitters like Coca-Cola and Hain Celestial expended their juice cleanse lines and smaller players like Daily Greens enjoyed giant capital infusion from investors. The cleanse race is on, with single day cleanses, soup cleanses and more. This is just one indicator that "gut" no longer refers simply to digestion. More evidence comes every day that what happens in the gut can be linked to every organ and system in the body. Brain health and immunity are just two areas where the connections are being made: a healthy gut is the basis for a vibrant life. How well such findings are accepted by mainstream consumer remains questionable. Average consumers may not be reading the latest edition of Journal of Gastroenterology, but awareness in the natural-focused channel is growing. Retail staff, at the better stores, will know about the gut-brain connection and be able to talk about the coming of what industry researchers are calling "Probiotics 2.0," a movement toward probiotic strains and multi-strain formulas targeted at conditions more specifc than a healthy GI tract. Prebiotics, too, may emerge as a strong category, but it will be some time before any gut-health supplements see the sustained double-digit growth probiotics hold. 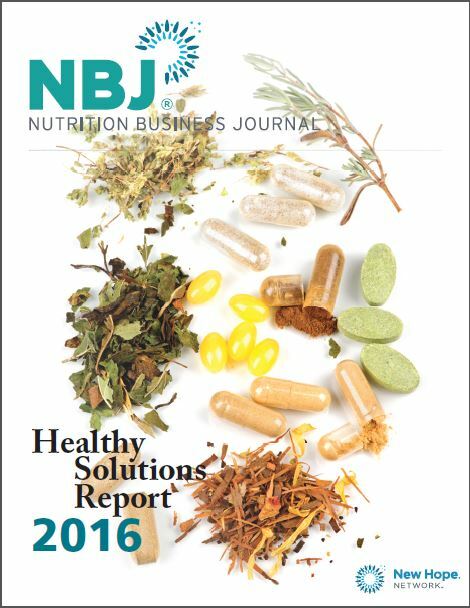 Understand the opportunities within the "gut health" and other condition-specific categories with the 2016 Nutrition Business Journal Healthy Solutions Report.